Energy and operational initiatives to improve environmental quality and efficiency of buildings, as well as reduce operational expenses. The bond program is the culmination of a two-year facility and infrastructure planning initiative to upgrade the district’s aging buildings to support learner-centered school communities as we build on our long-standing Tradition of Excellence and seek to open a World of Possibilities for and with each of our students, and in partnership with our families and community. Thoughtful planning is under way and construction is beginning for this comprehensive, multi-year facilities upgrade and construction program that will touch every classroom and school. Click below for an overview of Bond 2017, along with the latest Construction and Facilities Program Update. 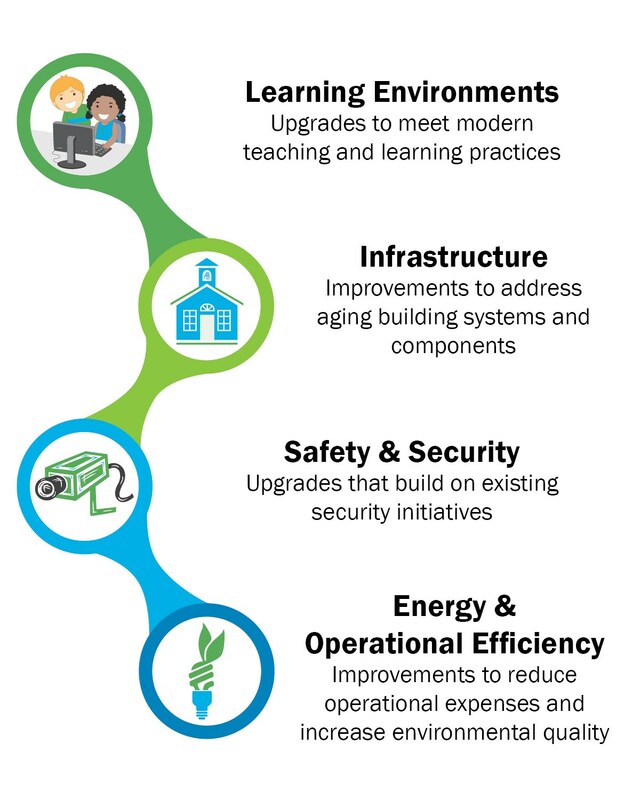 Also available are key features of the bond initiative and construction timelines by building. You also can e-mail your questions to NPS@NorthvilleSchools.org.